Through his fun and interactive approach, Chris supports people to truly connect with themselves, their own self-expression and indeed to find their own natural voice. Whether it is speaking up in the corporate environment, being able to express yourself with family and friends, singing or otherwise, Chris has the ability to gently and playfully guide people to greater awareness and confidence with expression. With a busy national and international schedule, Chris has performed and worked all over the world with people from all walks of life. He has worked regularly with the New South Wales Police Service and sections of the Australian Army to provide greater awareness and insight to how they best utilise one of their most valuable personal assets, confidence in their voice and expression. 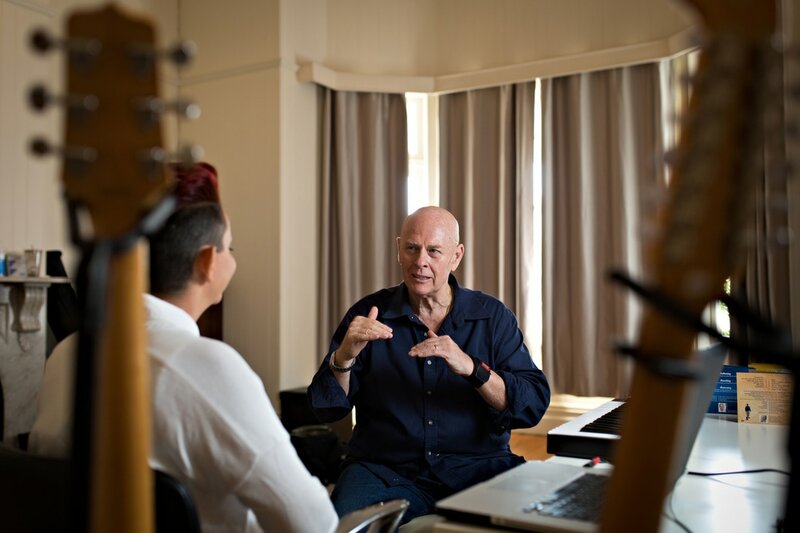 Working with Chris is often a revelation for people who have long shut off or shut down their natural ability with expression, and once reignited the flow-on effect is felt in all areas of their lives. Q1: As the newest member of the UMB practitioner team, what can people expect when they make a booking with you? Many people feel that it can be challenging to express in life in general and that they are not heard when they speak. And then there is the natural joy of singing that so many of us have let go of because of various pressures in life. In these very safe and practical sessions we can start to discover our natural voice and joy of expression. Reclaiming the natural authority of your voice empowers you in so many ways – at work, at home and in all of your relationships. We all use our voice in our jobs and daily life. The natural, powerful presence of our voice that has always been there, is just waiting to come out. Everyone benefits from discovering and connecting with their naturally resonant body, and this makes expression effortless and pure delight. Listening in life is incredibly important for developing relationships, community, and for an effective and safe workplace, and in these sessions we open and deepen the connection between conscious presence and listening. This also has enormous benefits in reducing stress and anxiousness and increasing one’s general well-being. You may have heard that ‘everyone is born with a beautiful voice’, or the many and varied health benefits of singing (immune system boosting, cardiovascular refreshing, helping ailing respiratory systems etc.). As we open up to our natural voice and expression all these and more can be experienced. To reconnect with, or learn, a musical instrument in a totally supportive atmosphere is an absolute revelation for many people… The true magic of music is opened up when we approach this without the familiar pressures that many of us have experienced when learning to play music. With all this, and more, people will experience a reconnection with their expression in a fun, easy, and profound session that will build a foundation for a lifetime of joyful, powerful and creative expression. Q2: You are known for your philosophy, “Everyone is born with a beautiful Voice” Can you elaborate? Over the many years that I have been teaching I have consistently found that indeed, ‘everyone is born with a beautiful voice’. It is naturally within us and actually becomes ‘shut down’ in various ways as we traverse the challenges of life. By the time most people have grown up, their expression, their voice and creativity is a faint shadow of what they were born with. The fact that ‘we are all born with a beautiful voice’ simply means that all we need to do, is to let go of the self-judgement and internal criticism that we have accumulated as adults, as a result of outer-conditioning. In fact it is simply to let go of what you are not, and let the real you shine through. Q3: You have extensive national and international commitments and have chosen to commit your time to working at and through UMB, can you share firstly, why and what you love about UMB? and secondly, what do you have in store for Brisbane? UMB is a warm and friendly clinic where all the practitioners have a commitment to serve the community with the utmost integrity. It is an honour to be part of such a dedicated team where energetic responsibility and supporting the well-being of the community is a priority. What do we have in store for Brisbane? As well as private voice coaching sessions, one of the first things will be a community choir. When people come together to sing it is extraordinarily healing… and it brings an intrinsic sense of community that is healing within itself. And this goes even further… strengthening our immune system, having a wonderful effect on every cell in our body. Did you know that when a group of people sing together for long enough, their hearts literally start to beat together. Our bodies have an amazing intelligence, and when we understand that our bodies are literally vehicles of expression, we have a great setup that can naturally support our self-worth, health and well-being, as we self-care and heal. We will also be offering ‘One Unified Team’ professional development seminars for businesses in Brisbane. In order to have an enjoyable, productive and safe workplace, developing clarity in communication and a harmonious working environment is paramount. We are available to present a fun, interactive and innovative ‘Vocal Adventure For Schools’ programme for students that can be tailored for the individual needs of each school. Teachers, staff and parents may all participate. ‘Discover Your Natural Voice,’ teacher and staff workshops will also be available as a professional development activity. 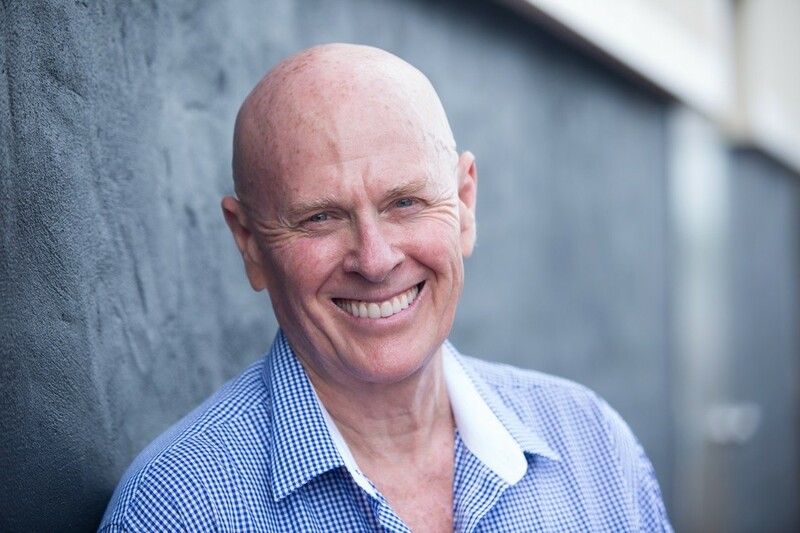 Chris’s voice work meets the requirements of the Continuing Professional Development Framework for teaching accreditation in QLD. We will also be holding one-day workshops for the general public throughout the year, and offering a regular schedule of private sessions and voice coaching. Q4: Chris, your career spans over 30 years, can you share a little about yourself and how you came to be in the position you are in now? The most important things in my life have always been around community, expression and connection. I was looking for these things in many places… from the monastic life to the military life, and then for many years, teaching internationally about sound, healing and the human voice. This approach values energetic integrity and responsibility in expression as a given, and lays a foundation for true expression as a musician, singer, speaker . . . and in all aspects of life. These values are of utmost importance first and foremost before any other evaluations of skill or talent. As a consequence, I have had the extraordinary opportunity to ‘ tune-up’ my own instrument, that is my body, my heart and my own voice over the last 15 years, and to feel the incredible benefits that this awareness has brought to my life, music, sessions and presentations.